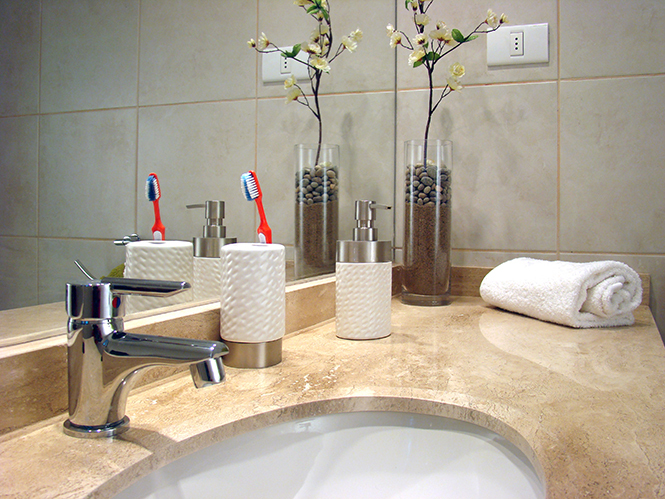 We've probably all heard from different sources the problems with choosing the right plumber. Stories of plumbers turning up for 5 minutes then giving a shocker of an invoice. Not all plumbers are like this; Priceatrade's members are carefully selected. But there are still some handy hints here on how to choose the best plumber for you from the shortlist we provide. If you have just sprung a leek or your toilet won't flush you need help fast. This is where you need to be careful. Although you need a fast response, you need to avoid hefty emergency call out charges. Make sure you ask about all of the fees chargeable up front, and ideally have these in writing (either from their website or when they arrive at the door before work starts). The great thing about the Priceatrade shortlist we provide (four recommended plumbers after you have entered details) is the details on the plumber's background. Important details to understand are how long they have been in business, check they have permanent business address details (if you know where they operate from they are less likely to disappear halfway through the work), view past work they have done, if they have insurance to cover your home, if their work is covered by a guarantee and in turn by insurance (so if they went out of business the guarantee would still hold), ad would associations/professional bodies. The Institute of Plumbing or the Association of Plumbers and Heating Contractors (APHC) are a good start point. Also check if they have a City and Guilds Craft/Advanced Craft Certificate or a Plumbing Mechanical Engineering Services NVQ (or SNVQ if from Scotland) level 2 or level 3. Also if your project involves gas work, check that your plumber is registered with Gas Safe. If your work involves oil or solid fuel check your plumber is registered with OFTEC, APHC, BESCA; and if electrical work is included check your plumber is a member of NAPIT or NICEIC. Word of mouth can't be underestimated when finding your plumber. The shortist from this site also includes feedback from other users so please ensure you read these and compare. With Priceatrade you don't need to brief plumbers and compare quotations - we've done that for you. But when you have made your selection from the shortlist you will need to engage direct and here you need to ensure the price quoted is the price you will be charged, ad also how payments will happen over the time of the work - the APHC warns against plumbers charging 100% upfront. Another good reason for checking if they are members of the APHC is their work will be guaranteed. And should the plumber go out of business before the work is completed another plumber will come in to finish the work (providing that is the first plumber followed the APHC code of practice). If you are not happy with the work completed and feel it doesn't represent what was quoted for, put your complaint in writing to the plumber and your suggestions to rectify. Often to preserve their reputation they will come out and try to put right. If this doesn't happen you can go to one of their member associations and submit a complaint who should follow up. If your plumber is not a member of any associations or bodies then put everything in writing, take photos and keep a record of dates of when which works were done and what was said/agreed. If it can't be resolved you may need to take your plumber to court. There's a great article in the Guardian on the small claims court process.